The school was founded by Dominican nuns in 1878 and was originally a convent school for girls. 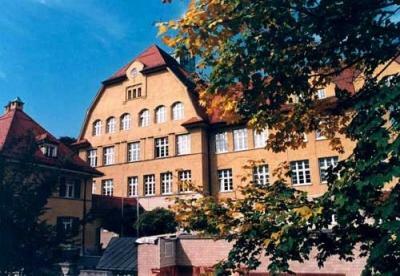 The building in which the school is situated today was finished in 1913 (picture). Today there are about 700 students (boys and girls). In 10th standard every student has to pass “public service”, which is a program, where students have to spend two hours a week in a social organisation, like a kinder garden or a old people’s home. Workshops for school mediation are offered as well. is part of the Association of French High Schools in the world.These schools guarantee the instruction of French during a whole scolarship. 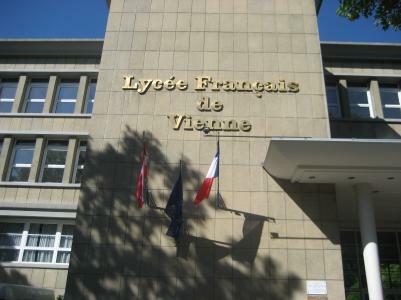 Around 1800 students attend Vienna’s French High school today and 60% of them are Austrian. 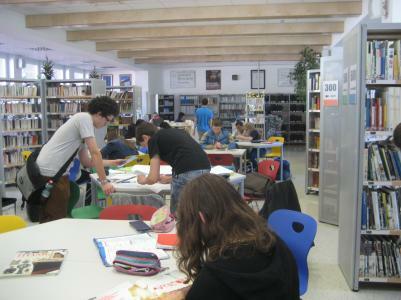 In our high school, every student gets the opportunity to study in French (history and geography, physics, biology, math and of course French litterature, etc...) and every German-speaking student gets to practice their mother tongue during German and history and geography in German classes. At the end of their scolarship, everybody passes the Baccalauréat (French diploma) and the Matura (Austrian diploma, only for Austrians or German-speaking students). It is a very international school, which helps every student to developp their knowledge of today’s world and their peace skills. Many activities (theater, singing club, chessclub,…) are being proposed and a big show is organized every year to give the opportuniy to everybody to express their talent. Another very important element of our school is the "place" (French word for "square") where all high school students go between each class to rest, have a snack or just speak with friends. 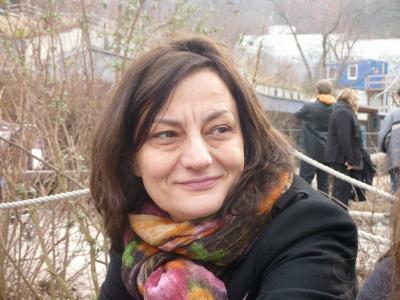 My name is Murielle Adélaïde and I am a History and geography teacher in the Lycée français in Vienna. I am French from Normandie but living in Vienna since a very long time. It’s the first time that our School will participate to the Peace Camp; I think that it’s a very important project but I cannot come this years in Reibers, I only prepared the Camp with the students of our school. I used to visit a few countries in Middle East but until now I never went in Israel, but I would love to. I am sure you will have good time, fun and very interesting discussions during these 10 days and it’s a pleasure to see how all of you are so involved in this project.